MSNBC shows got a big ratings boost on Tuesday from back-to-back news about former Trump associates Paul Manafort and Michael Cohen. “Hardball,” “All In,” “11th Hour,” “The Beat” and “MTP Daily” all boasted their largest audiences ever on Tuesday, the day former Trump campaign chairman Manafort was convicted on eight charges relating to bank and tax fraud, and Cohen, the president’s former personal attorney, pleaded guilty to campaign finance violations. Additionally, “Maddow,” “Deadline” and “The Last Word” all got their second-most total viewers of all time on Tuesday. Each of these records and near-records exclude political conventions, debates and election nights. With 3.893 million total viewers, “The Rachel Maddow Show” was the most-watched show on all of cable on Tuesday night, followed by its lead-out “The Last Word,” which was watched by 3.339 million viewers. 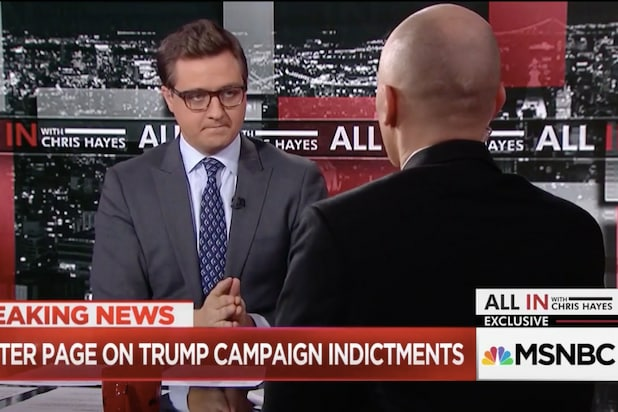 Chris Hayes’ “All In” finished sixth with 2.658 million viewers. “Hardball With Chris Matthews” came in at seventh with 2.478 million, and “11th Hour With Brian Williams” finished 10th with 2.412 million. 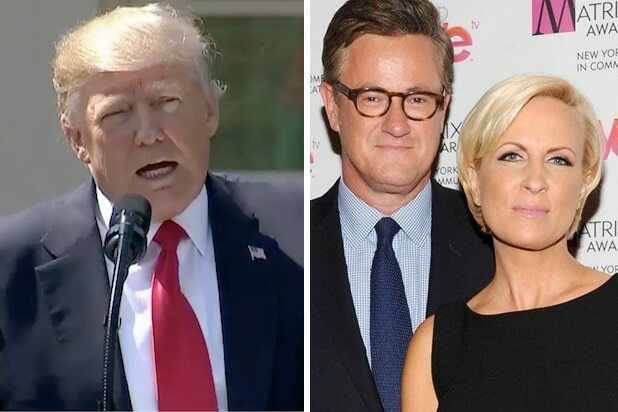 MSNBC’s primetime line-up, composed of “All In,” “The Rachel Maddow Show” and “Last Word,” finished first in both total viewers and among the key cable news demographic of adults 25-54.